To add to the above, yeah, you may just wanna cut a little piece of pipe for the bullet guide and have a gunsmith weld it in there instead. May cost a little more, but you have a little more security if its welded vs a red locktite screw, and the replacement piece would completely cover the hole you drilled. but if you wanna fiddle around with different screws instead, that will probably work just as well. mostholycerebus replied to horatio's topic in General Discussion - Any topic is welcome here!!! Yeeeessss, thats true, but I feel that the way WE would typically use it could extend the life to a reasonable length, without being problematic. If you plan on putting down 20,000 rounds a month like in Vegas, then there may be better options. Just buy a single pistol upper, and slap it on all the AR lowers you have already stockpiled. Take a pic with date. Those are all now pistol lowers that can be built into their own pistols or rifles later, as you see fit. Then get one of those Zastava NPAP pistols in x39 and/or 5.56. They are very nice. The 5.56 has a plastic mag adapter that allows it to take AR mags. mostholycerebus replied to XD45's topic in General Discussion - Any topic is welcome here!!! Troy had a good rep for quality, and that may still be the case. However, they now have a bad rep among gun owners, especially military-style rifle enthusiasts, because of some recent hiring. First they hired an anti-gun ex-Chicago police commissioner. After the outcry they fired that guy, then decided it would be a good idea to hire one of the Ruby Ridge snipers as an instructor. Because of this, many of their customers walked away and refuse to buy anything Troy. mostholycerebus replied to King Cash's topic in General Discussion - Any topic is welcome here!!! Got a Lucid M7 mount for $17, gonna get some offset irons off Amazon for $17, and a forward assist. That will finish off my last two ARs. Next paycheck, slings for everything. Then time to start looking for a 308. What will help most with shot-to-shot times the most? The new Brakeout II has been getting some really good reviews. Dont think it comes in 14x1LH though. mostholycerebus replied to JESS1344's topic in General Discussion - Any topic is welcome here!!! Unfortunately, the leadership hasnt learned their lesson, and guns are still very tightly controlled there. mostholycerebus replied to lumberman's topic in General Discussion - Any topic is welcome here!!! Im all for buying once. But. Get her the gun it takes to draw her into the hobby. After she gains some experience, she will make better choices. Or, she may end up hating it and you arent out as much. mostholycerebus replied to Spartacus's topic in General Discussion - Any topic is welcome here!!! Ive recently changed my opinion on this. I now feel that concealing my firearm ownership is hurting us as gun owners much more than rare isolated incidents. Im not just walking up to strangers and detailing my stash, but im no longer actively concealing from neighbors, friends, reasonable middle-class people I know. I want them to realize that the everyday people they know, talk to, hang out with, kids play with, trade lawn tips with, etc, are also responsible gun owners. When we hide ourselves like some pariahs the only example they see of gun ownership, is articles like the OPs. Of course they have a bad impression of guns. Thats the big issue, ive seen it a few times. Your kids friend says "my buddys dad has a nice rifle!" at a party, the local meth head overhears and sells the info to a crew. Watch who your kids hang out with. EDIT: Ill add, this started with social media. We've all heard a hundred horror stories by now that started on Facebook. Be careful. Looking for a little advice on soft body armor. mostholycerebus replied to csspecs's topic in General Discussion - Any topic is welcome here!!! Typically, a vest designed to stop either bullets or knives does nothing against the other. IIRC though they do have stab vests that can carry a plate. Sorry OP, no experience with them. mostholycerebus replied to semper299's topic in General Discussion - Any topic is welcome here!!! I bought some of the Wolf 124gr Mil Classic 4-6 months back and could NOT find the cuts inside the hollow point with a pin. Its possible im just an idiot though. Generally im happy with any x39 ammo, as long as its Golden Tiger. mostholycerebus replied to HB of CJ's topic in General Discussion - Any topic is welcome here!!! As excuses come up, he will close down importation of all firearms. All lead ammo will be declared banned due to environmental regulations. All non-lead ammo will be banned as 'armor-piercing' from AR and AK pistols. That's just the tip of the iceberg. So far, his party is happy to march in lockstep with him. Im not sire that will be the case as his proclamations get more and more bold (read: illegal). We may end up with some big changes after this guy, now that the congress is being made aware of how much power the Executive branch has suborned over the years (mainly due to congressional inaction). Last I read, maybe yesterday?, the SHOT show versions are still a prototype and the final design isnt complete. IIRC they said the rear lug area was done, front needed some tweaking. They might end up with polymer feed lips, the polymer lips performed in tests better than steel, but customers are demanding steel feed lips. 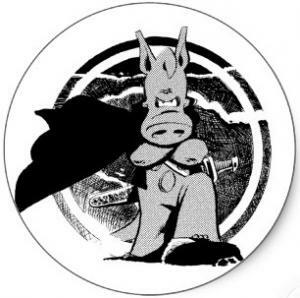 mostholycerebus replied to ChileRelleno's topic in General Discussion - Any topic is welcome here!!! The rep claimed that when they did testing, it was much easier to bump quad-stack mags to the point where it would jar the round order and start to misfeed. The drum handled rough treatment much better, and also gave a lower overall profile. I mean I like the product, but the whole reason I picked up 300BLK is because of parts commonality with the 5.56 AR15. If I cant move spare parts and mags back and forth, im not interested. Does NOT work with 300BLK, confirmed by Magpul rep on M4Carbine. So, I probably wont be buying 4 as planned. Maybe one since my CCW lets me keep an AR pistol on the front seat of my car in Chicago.